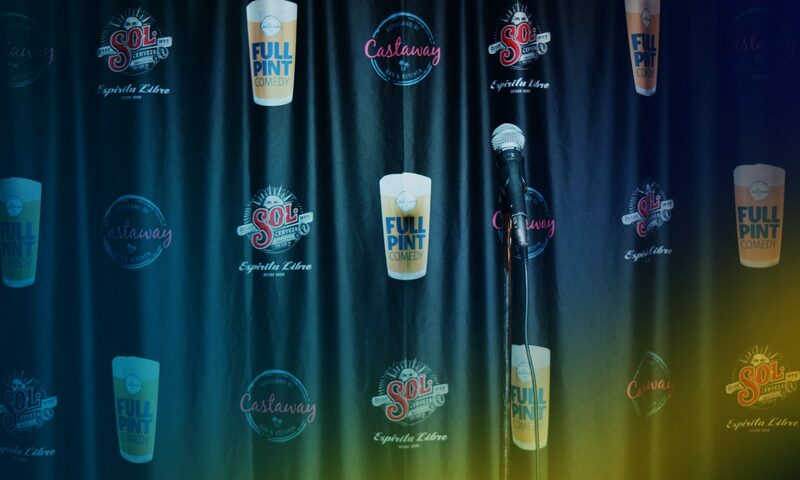 Full Pint Comedy – Comedy on tap, every Tuesday at Castaway Bar & Kitchen in Kitsilano. Professional stand-up comedy, every Tuesday at Castaway Bar & Kitchen in Kitsilano. Every week, for just $5, we bring you top touring stand-up comedians you’ve seen on Conan, Jimmy Kimmel Live, Just For Laughs, CBC, The Comedy Network, and more. Before Castaway, you may have seen Full Pint Comedy at our old home of Granville Island Brewing or at the original Kings Head Comedy at the venerable Kings Head Pub in Kitsilano. Join us every Tuesday at Castaway (3293 W. 4th Avenue, at the corner of Blenheim Street) to enjoy the show alongside $2 tacos, $4 tequila, $5 bottles of Sol, and $6 tallboys of Tecate. See which stand-up comedians are scheduled to perform on upcoming shows, or remind yourself who was there a few weeks back. Heads up, the lineups are subject to change.